NCECA’s 2016 roundtable discussion, Fueling the Imagination: How We Talk/Work/Play Across Our Differences, brings together moderator, Ben Carter with John Borstel, Andrea Gill, Simone Leigh, and Hideo Mabuchi for a conversation about the roles of mindfulness and language in generating of communities of practice. In “Fueling the Imagination” an essay from Liz Lerman’s Hiking the Horizontal, she recounts a conversation with Nobel laureate Dr. Eric Wieschaus. Wondering about how the scientist asks himself a question, the researcher states, “I am fueled by my own ignorance.” The keen precision of this response helps us understand that artists and scientists share an understanding, Lerman writes, “that not knowing is fuel for the imagination rather than fuel for humiliation.” So much of what we do in our work as artists and educators, takes place in this state of not knowing. Not knowing is what compels us to learn, create, and discover. It is a core attribute of the human condition, yet often we find ourselves devoting so little attention this stage of our process. One aspect of ceramic history that fascinates many of us is the way that pottery has evolved across geographical and cultural borders. With dynamic fluidity, ideas, forms and motifs initiated in one culture, migrate into others where they become absorbed, reconstituted, and sometimes reinvented. Holding a piece of decorated pottery in one’s hands can inspire us to detective work that traces qualities back to their origins. We ask ourselves questions— where did this come from? what did it mean then? what does it mean now in this new context? We accept that while objects are concrete, the ideas, purposes, and meanings they embody, like a glaze held at melting point, remain in a constant state of flux. The roundtable discussion that takes place on the morning following the keynote lecture is a recent programming development that builds on NCECA’s great tradition of crossing borders of inquiry. The roundtable experience provides a public forum to air responses, reflect on ideas, and pose questions evoked during the previous evening’s keynote lecture. The forum’s format engages people with different disciplinary backgrounds to share how their perspectives influence what they heard, how it interested them, and what opportunities and challenges are embodied in the ideas expressed. Perhaps such a discussion could also help others, who were present for the keynote and roundtable, to consider some essential questions and take-aways to discuss over the remaining days of the conference and beyond. While some of our 2016 roundtable participants are well known to the NCECA community, others may not be, which is intentional by design. Moderator Ben Carter’s is the mellifluous and thoughtful voice of the popular clay podcast, Tales of a Red Clay Rambler. 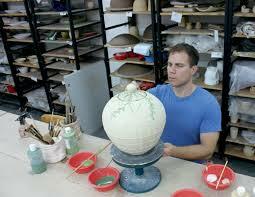 He is a studio potter, workshop leader, and social media enthusiast based in Santa Cruz, CA. Ben received his BFA in ceramics/painting from Appalachian State University, and his MFA in ceramics from the University of Florida. From 2010-2012 he served as the Education Director of the Pottery Workshop in Shanghai, China. Andrea Gill is a ceramic artist and professor of ceramic art at the New York State College of Ceramics at Alfred University in Alfred, New York. 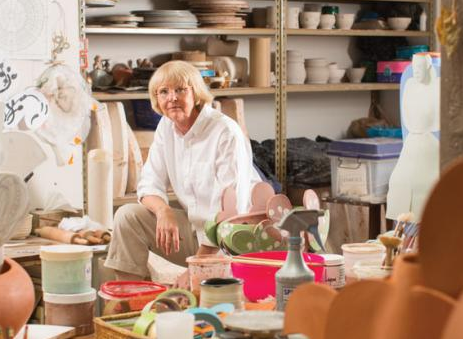 She earned a BFA in painting from the Rhode Island School of Design in 1971, studied at the Kansas City Art Institute from 1972-73, and completed her MFA at the New York State College of Ceramics at Alfred University in 1976. Gill has been awarded fellowships from the New York Foundation for the Arts Fellowships, the National Endowment for the Arts, and an award from the Louis Comfort Tiffany foundation in 2003. Simone Leigh is an artist engaged in object-based, on-going exploration of black female subjectivity. She currently teaches at the Rhode Island School of Design. Her sculpture, videos and installations are informed by her interest in African art, ethnographic research, feminism and performance. Leigh was a facilitator of the 2012 International Art Programme at the Centre for Contemporary Art, Lagos, Nigeria. Recent and upcoming exhibitions include solos shows at the Kitchen and Tilton Gallery in New York, NY and group exhibitions at Contemporary Art Museum in Houston, SculptureCenter in New York, Kunsthalle Wien in Vienna, L’Appartement22 in Rabbat, Morocco, the Andy Warhol Museum in Pittsburgh and the AVA Gallery in Cape Town, South Africa. Her work has been featured in such publications as Modern Painters, The New Yorker, The New York Times, Small AxE, Nka: Journal of Contemporary African Art and EBONY Magazine. Hideo Mabuchi received his A.B. in Physics from Princeton University (1992) and Ph.D. in Physics from the California Institute of Technology (1998). In 2000 at the age of 29, he was named a MacArthur Fellow in recognition of studies that provide an experimental vehicle for exploring how thermodynamic processes mask quantum behavior, and how their interaction might be harnessed for important practical uses. After teaching at CalTech, Mabuchi moved to Stanford University as Professor of Applied Physics in 2007, where he has served as Chair of the Applied Physics Department since September 2010. In recent years Mabuchi has developed substantial new engagements in ceramic art and science. 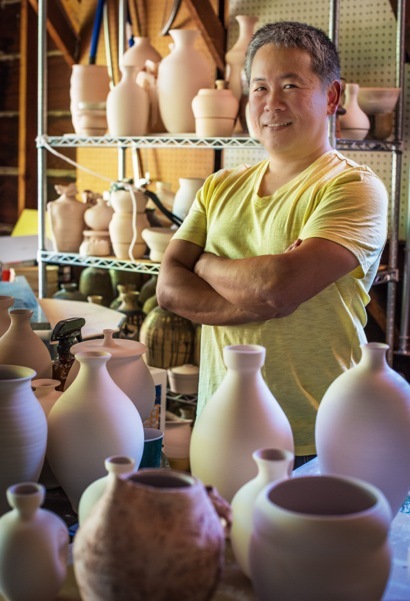 His studio practice focuses on thrown functional forms for atmospheric firings; he has been studying Japanese ceramic traditions, American studio ceramics, and craft theory; he is intrigued by the complex relationships among art, craft, science, design and engineering. He is beginning to explore the use of modern analytic techniques such as laser spectroscopy and electron microscopy to understand microscopic processes involved in the creation of wood-fired ceramic surfaces. 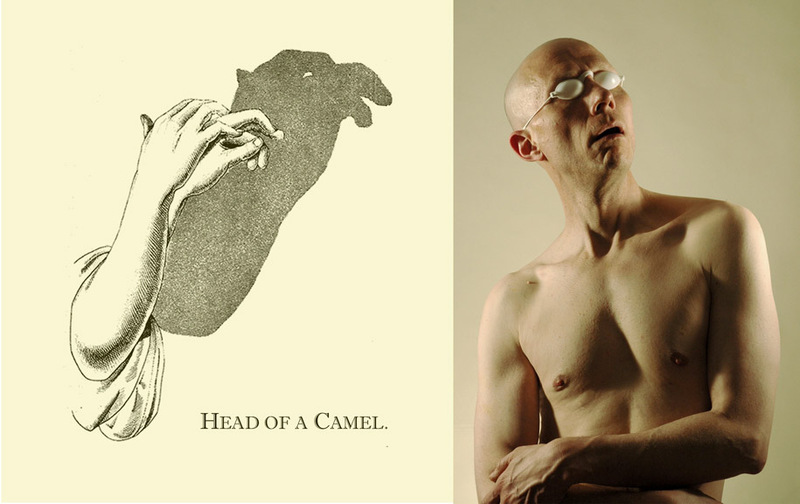 An artist working at the crossroads of photography, performance, and text, John Borstel is an independent consultant following a 20 year career in programming and development for Dance Exchange, a nationally-touring contemporary dance company founded by Liz Lerman. He is co-author and illustrator of Liz Lerman’s Critical Response Process and has traveled widely to teach and facilitate this unique feedback system, which emphasizes the values of dialogue and active involvement by the artist. His mother was a fiber artist and his father an editor; both parents were writers. He traces his artistic practice back to their influence and to the dress-up games he played as a child.